A historic home in Northgate Park that once housed a children’s museum but has been empty for two years will transform into art next month. Durham artists will memorialize the home at 404 W. Lavender Ave through a Durham Parks and Recreation volunteer project. Occasional flooding has left the city-owned property in decay and poor shape, unfit for rental and unfit for the city to use. The Open Art Society, which is co-organizing the project, is still searching for artists to participate. The Society is a platform for artists to work in public spaces and engage in creative ways with the community. Artists will be able to perform and display work they’ve created based on the site. This will be an open-ended project with no creative restrictions on the artist. The Society’s founder and lead organizer, Jessica Moore, said the house is a creative prompt. Durham Parks and Recreation owns the deconstruction project. 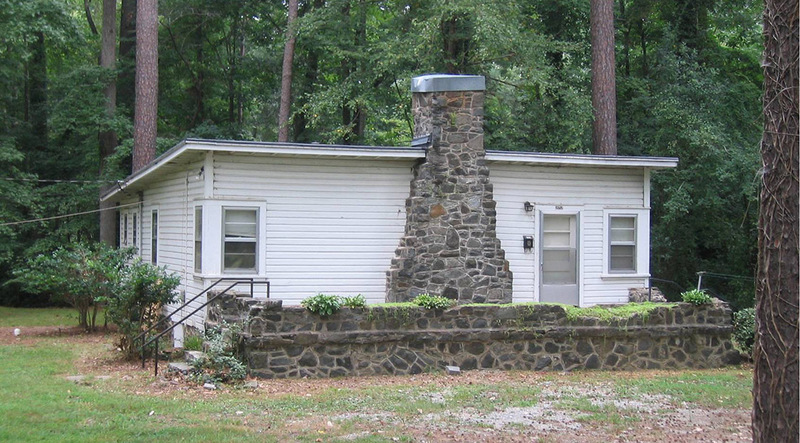 The home was built in the 1930s. In 1946, the building housed the Children’s Museum. Years later, the Museum moved to Murray Avenue where it became the Museum of Life and Science. In the 1950s, the house served as the residence of the caretaker of the Barfield Recreation Center, which used to be a recreation center, named after the family who gave the land for the park, in Northgate Park that burned down in the 1970’s. The city designated the house a historical landmark. Despite its historical significance, deconstruction was the best option, said Timson. Since last summer, Northgate Park Neighborhood Association (NPNA) partnered with Parks and Recreation to discuss options for rehabbing the house. Timson said the home’s stonework made it a poor candidate for whole house relocation. The only other option was demolition. 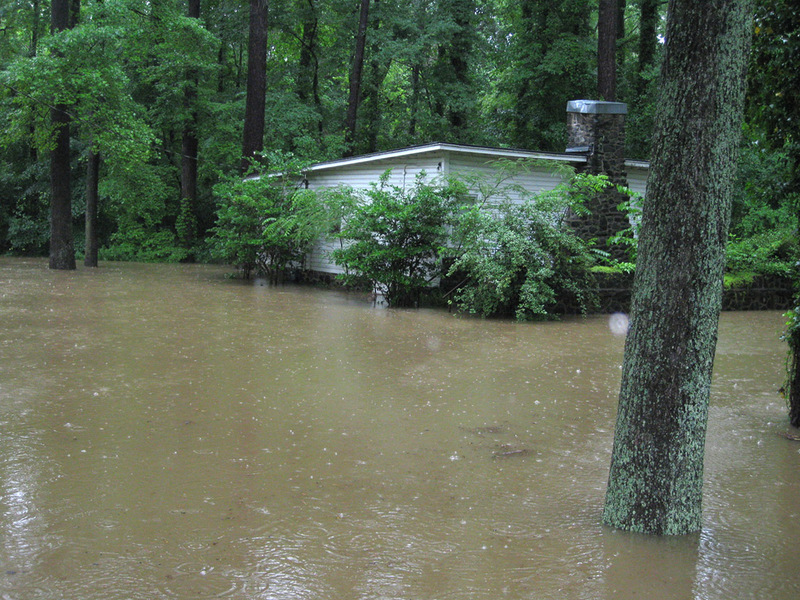 Because the house sits within the Ellerbe Creek floodplain, regulations from the Federal Emergency Management Agency restrict the repairs that could make the home useable, said NPNA President Ian Pond. The home’s history is precisely what is saving the house from devastation. 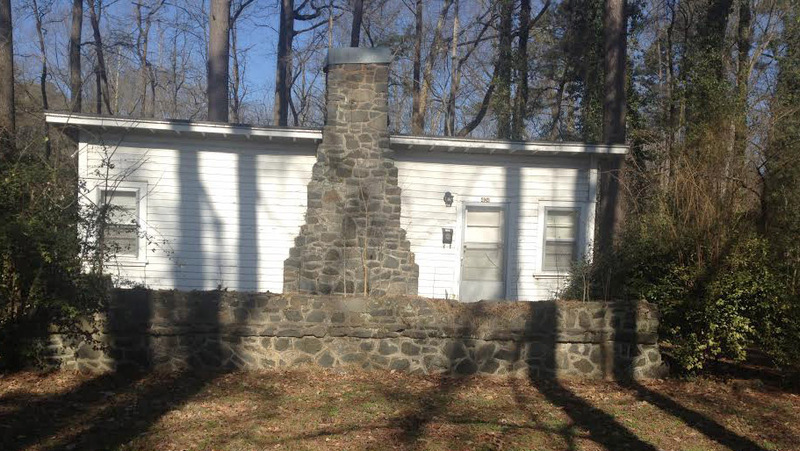 The home’s stone chimney and porch, and stone foundation, will remain on site to be used as a piece of sculpture and as seating during community events. Also, some of the dismantled materials may be used for benches. Myava is a student at NCCU and a writer for the Durham VOICE. This entry was posted in Community-building, History, Housing. Bookmark the permalink.